Do you need a towing operator in Renton? 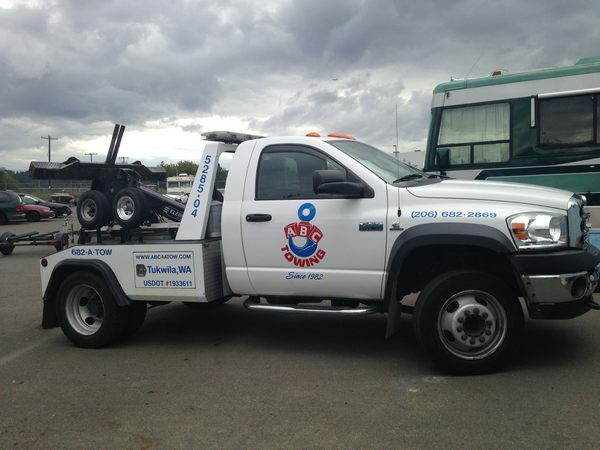 ABC Towing is the Renton towing operator you can count on. Since 1982 we’ve given Renton top notch towing. We tow cars, trucks, custom vehicles and vans. There’s rarely a vehicle we can’t tow. Paying for your tow is easy. We take most major credit cards, cash and checks. Being stranded, due to a damaged vehicle is no fun. We’ll solve your problem with reliable towing services. We have 14 towing operators to help you. They’re all equipped to tow vehicles around the clock. ABC Towing has affordable pricing that won’t break the bank. On the commercial side we can tow abandoned vehicles and parking violators. No one has the right to park in your designated parking spots. Don’t waste time trying to handle this, yourself. Call the Renton towing operators at ABC Towing. What does it mean to have a towing specialist? ABC Towing doesn’t just hire anyone. Our Renton towing specialists understand how to properly tow vehicles. Your vehicle will be safely attached to our tow truck. Tow operators for our company drive carefully, so no damage is done. If vehicles need to be impounded we’ll do it quickly and with skill. 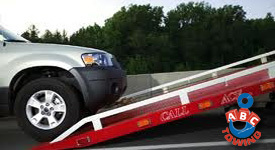 Our towing specialists can tow on hills and tough to get to areas. We also know how to do jumpstarts and tire changes. We’re well equipped and trained to handle any towing situation. During special events drivers get creative on where to park. This is done, because parking lots become full. Cars can pile up in areas where they don’t belong. Illegal parking like this can cause road hazards. It’s easy for cars to block driveways, sidewalks and fire hydrants. Protect these areas and more with Renton car towing. We can remove cars one by one. Renton car towing stops blocking hazards posed by cars. You’ll get quick response, so the problem is taken care of. Can’t get your truck to the shop? Call ABC Towing. We’ll send out a flatbed to remove it for you. Renton truck towing is available for all makes and models of trucks. Our Renton truck towing service is fast and done with precision. We make sure your truck is secure while being towed. It won’t fall off or swerve while on our flatbed tow truck. If it’s stuck in a ditch or other spot we do winching. We’ll pull your truck out, so it can be fixed by your mechanic. Call us for Renton truck towing service today.